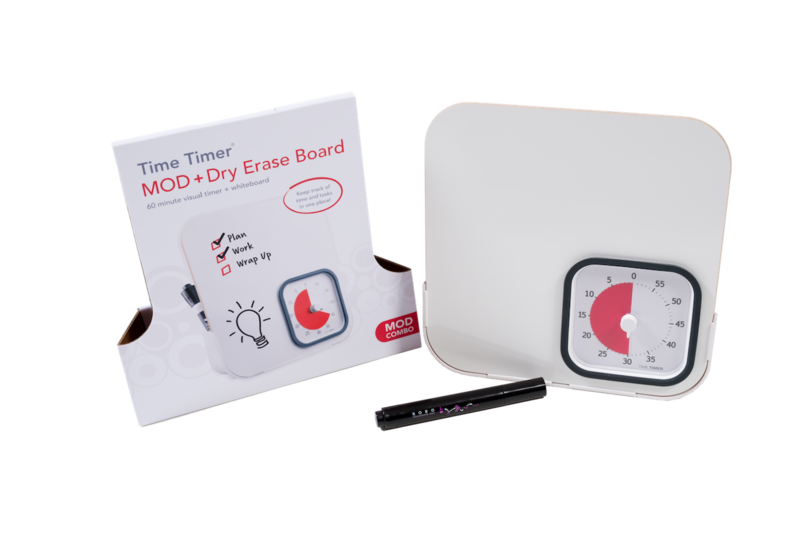 The Time Timer dry erase board together with your Time Timer MOD keeps your schedule on time. Ref.nr. JAC5039—Set Dry Erase Board & Time Timer MOD.